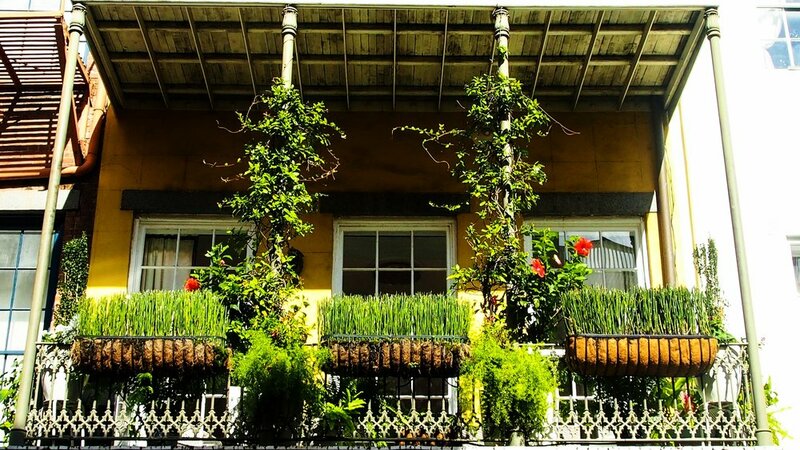 For tourists from all over the world, easygoing New Orleans carries the promise of good sights, good times, and most importantly, good food. 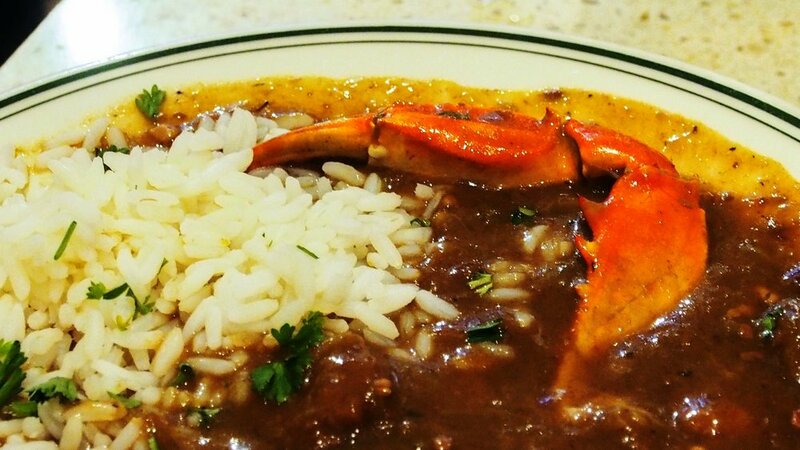 It goes without saying that from the minute I booked my flight to “The Big Easy” this past summer, I was constantly scrolling through pages upon pages of restaurant reviews disputing over the best gumbo, beignets, po’ boy, and crawfish étouffée in the city. Eventually the number of eateries in my Notes app far outnumbered any feasible amount we could hit in three scant days, so I decided to craft my approach to target the classics (and some admitted clichés) of New Orleans cuisine. First off? Gumbo. 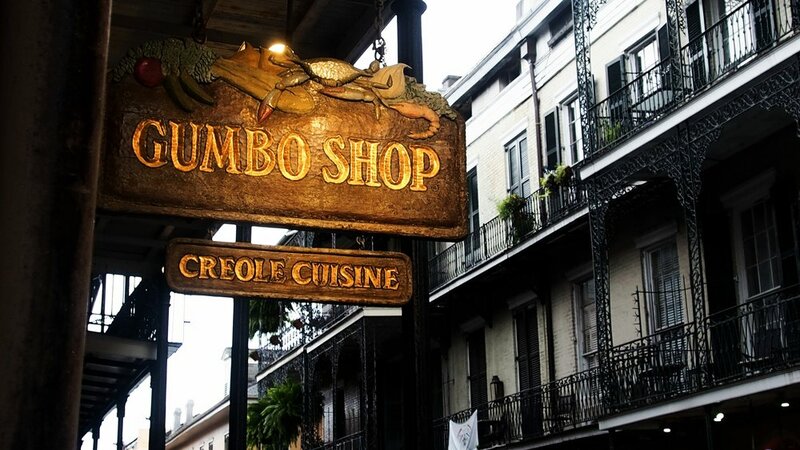 Though nearly every restaurant in the French Quarter boasts a sign declaring it the home of the “Best Gumbo in New Orleans!”, only a handful can truly back up this claim. Gumbo Shop on St. Peter Street is among these standouts as the winner of the Best Gumbo category in the Best of New Orleans poll every year since 1999. Despite its unassuming facade, the restaurant’s interior was decorated with beautiful murals depicting historic New Orleans scenes. The atmosphere was warm and unfussy, serving mainly families looking for a quick and inexpensive bite to eat. To kick off our weekend in Louisiana’s culinary capital, I made sure to order the famous seafood gumbo and jambalaya. Both dishes were generous and perfectly spiced with the bright, zesty flavors of Cajun seasoning. The crab was tender, flavorful, and above all fresh—completely different from the bland, chewy Midwestern seafood I’m accustomed to. My next stop the following morning had to be Café du Monde, famous for its beignets and chicory cafe au lait. The French Quarter’s street musicians were just beginning to set up for the day as we settled under the cafe’s signature dark green awning, and the laid-back saxophone music provided the perfect accompaniment to the piping hot coffee and crispy donuts. Though I had never heard of chicory café au lait, I can now say the combination of aromatic, nutty chicory root blend and hot milk has made me a convert. Paired with the soft, fluffy beignets heaped with mountains of powdered sugar, it was the perfect start to the day. Lunch took us to Antoine’s Restaurant, which boasts the title of the oldest family-owned eating establishment in North America. Though its dinner options were far out of my price range, a local taxi driver tipped us off to the much more affordable $20.18 three-course lunch menu. 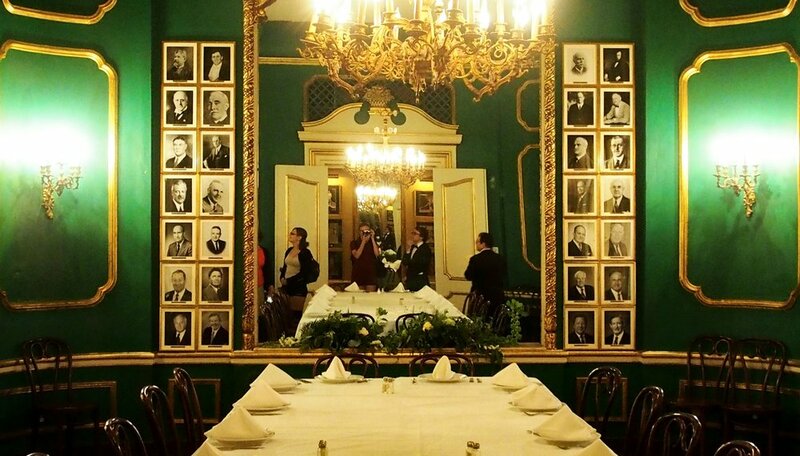 The interior of the restaurant was dimly lit, walls bedecked with antique letters and photos of celebrities they’ve hosted since their opening in 1840 (which range from Brad Pitt to Pope John Paul II). I opted for a fresh mandarin salad, breaded veal over pesto rice, and pecan bread pudding. The sweet, custardy flavors of the dessert were beautifully balanced by the warm spice of the praline rum sauce—the perfect finish to the meal. Following lunch, we were offered a tour of the historic restaurant. It turned out the main dining room was only one of many, each more lavishly decorated and steeped in history than the last. One standout included the emerald walls and gilt furniture of the Rex (or King) room. Named after a famous Mardi Gras Carnival krewe, it also featured a display with the dress and crown of the 1996 Mardi Gras queen. Another is the Tabasco Room, aptly named for its fiery red walls and supposedly a favorite of Nicholas Cage. The tour finished off with a peek into Antoine’s extensive wine cellar, newly restocked after Hurricane Katrina destroyed more than 35,000 bottles valued at over $1 million. 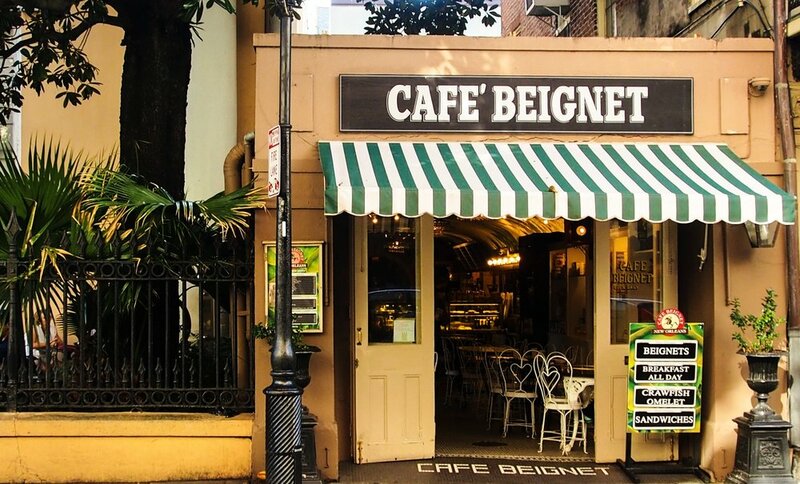 I was once again hit with a beignet craving on our final morning, and so we decided to venture over to French Quarter hotspot, Cafe Beignet, to attempt to settle the pervasive local debate—is it really better than Cafe du Monde? The cafe’s atmosphere was admittedly more relaxed and less touristy, with its open-air entrance welcoming visitors and street ambiance alike. For maximum experimental integrity, I once again ordered a chicory café au lait and plate of beignets. The result? The coffee, though delicious, unfortunately lacked some of the spiciness and bite of Cafe du Monde’s brew. The beignets, however, were more difficult to compare: Cafe Beignet’s were far fluffier and lighter, yet in being so they sacrificed some of the crispiness and indulgence of Cafe du Monde’s recipe. In the end, it came down to personal preference. It’s not difficult to see why people feel so strongly one way or another. I boarded the plane that evening with two tins of Café du Monde’s chicory coffee blend in my suitcase and no regrets. Though there are plenty of restaurants left to try (including the birthplace of bananas foster), my weekend in New Orleans truly showed me why ‘The Crescent City’ is deserving of recognition as one of the most distinctive culinary capitals of the world.